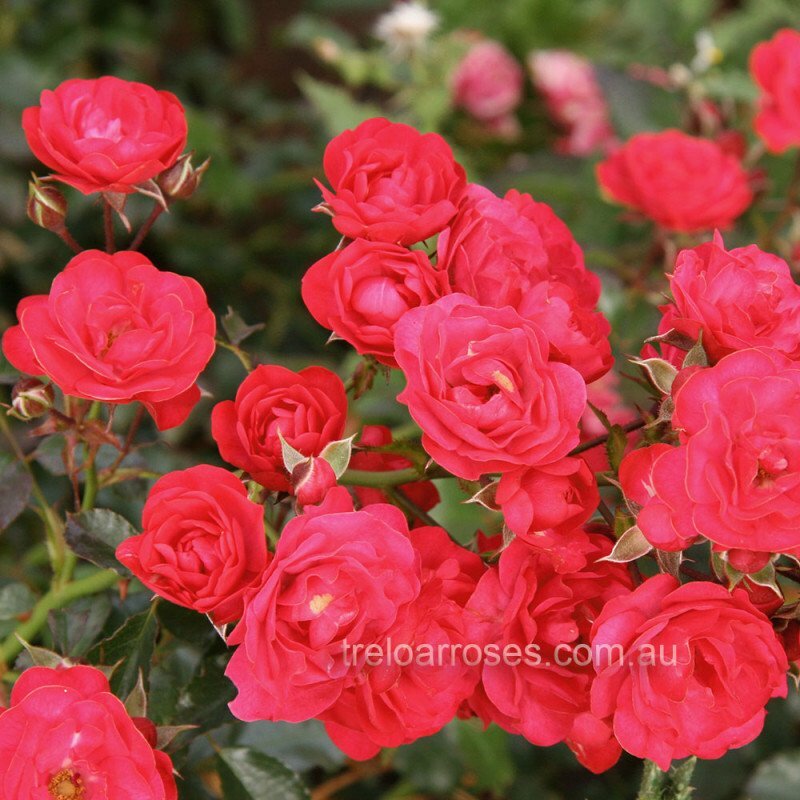 (Korstegli) - Winner of the prestigious Gerald Maylen Award for the Best Ground Cover at the National Rose Trial Garden of Australia. 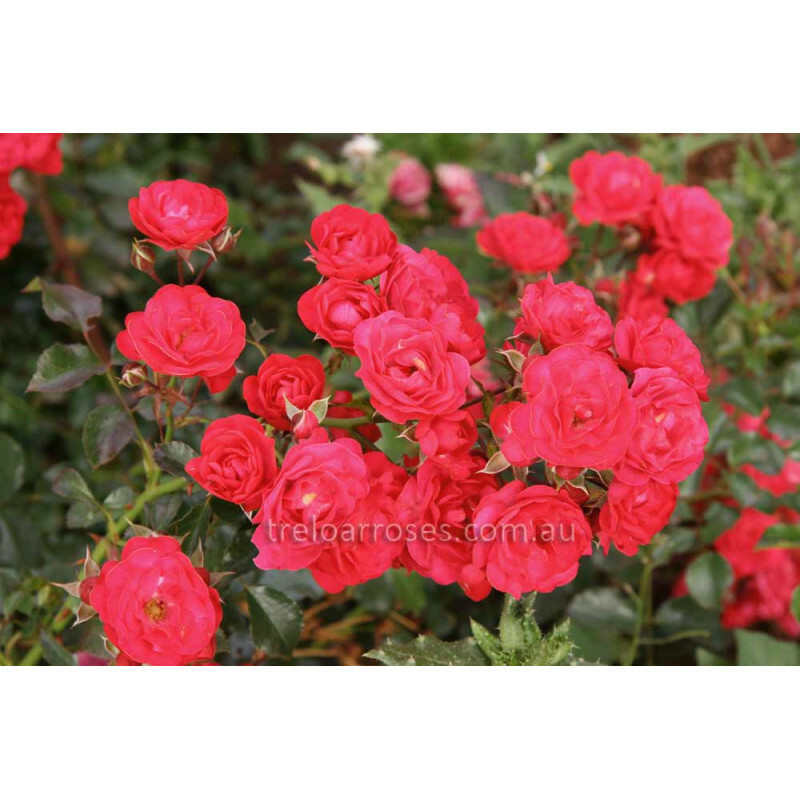 Small cherry red blooms are produced in clusters on a spreading, very healthy plant. 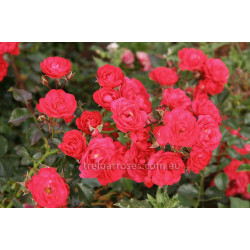 An excellent ground cover, capable of growing 1.5m wide by 50cm high.